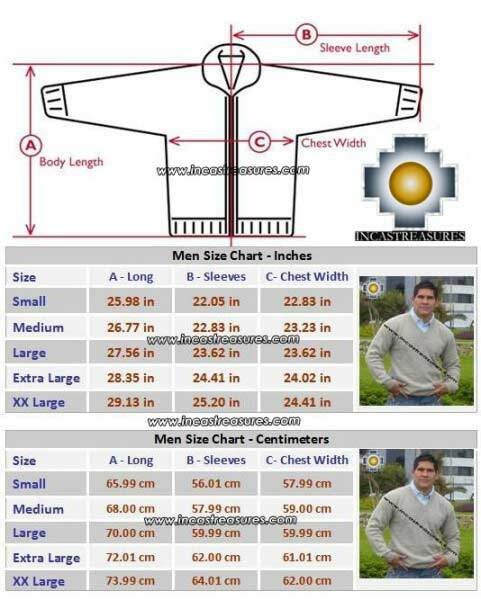 You will love the the 100% Baby Alpaca Sweater for men Juliaca , we produce it using the best alpaca, you can stay warm using this confortable sweater, very soft, high quality , you can enjoy the benefits of the alpaca . 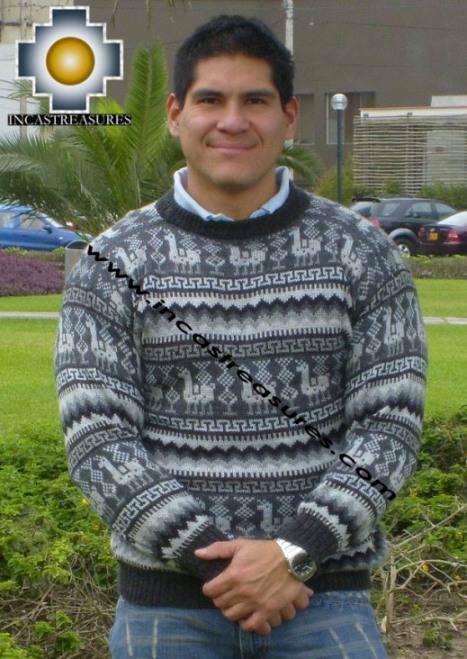 100% Baby alpaca sweater inspired in the ancient Inca Culture. Juliaca is a city in the Puno Region, Peru. It is the region's largest city and capital of the San Román province. Juliaca is on the Altiplano, 3825 meters above sea level. It is located in the Collao Plateau and close to Lake Titicaca. Cattlebreeding creates a strong trade in leather goods and textiles, also wool trading is big in this area. Also close are the ruins of Sillustani. 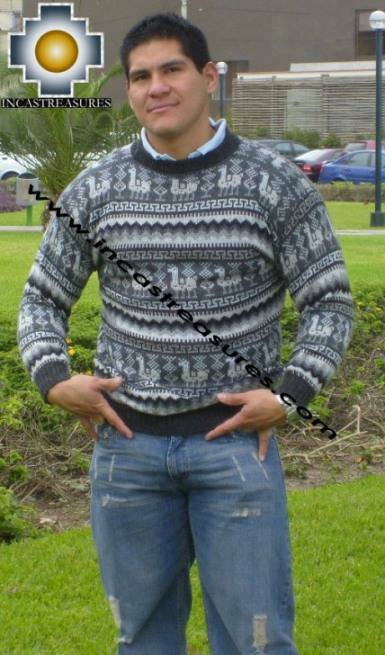 We got a nice combination in this alpaca sweater , the alpaca is very warm, very soft, and you can get this alpaca product at free shipping, you won't find lower prices anywhere, and also we are giving you a free gift with your 100% Baby Alpaca Sweater for men Juliaca .